I'm so ready for spring! 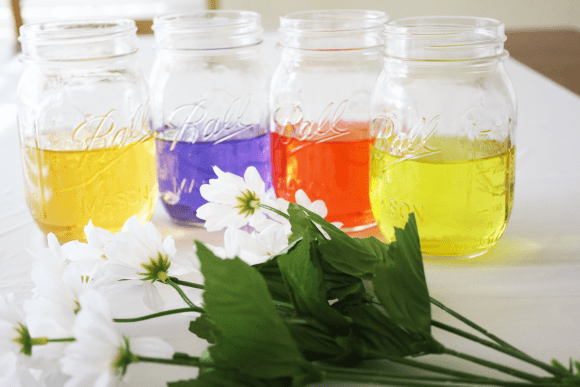 So in preparation for the days getting longer and the flowers starting to bloom, check out this colored water centerpiece DIY from Shauna at Ella and Annie Magazine. Isn't it beautiful? 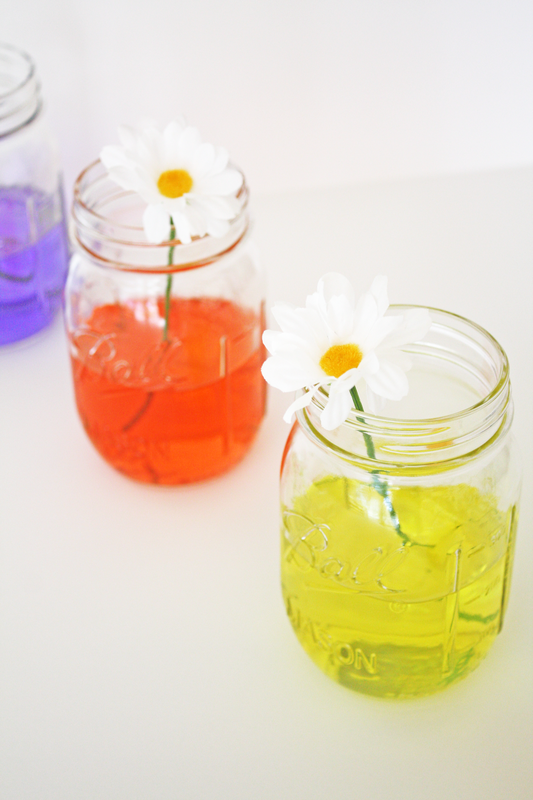 All you need to make it are mason jars, white flowers, and food coloring. 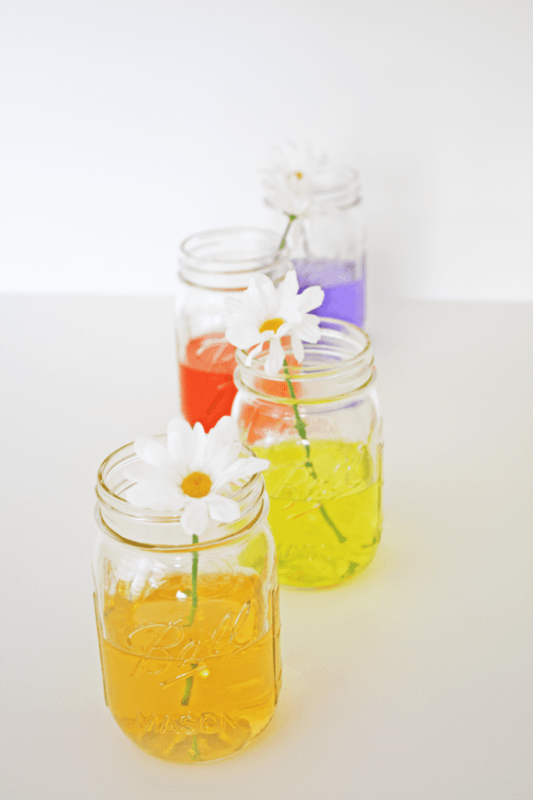 How awesome would this look decorating your Easter table! 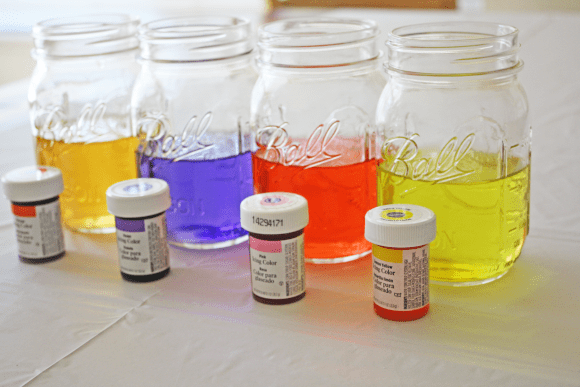 In only a few simple steps you can create a colorful and affordable centerpiece for any holiday or event. The best part is, you can make it any assortment of colors you like. 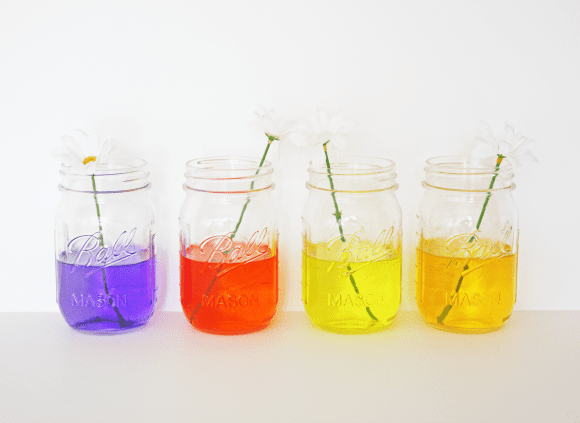 Fill each mason jar half full. 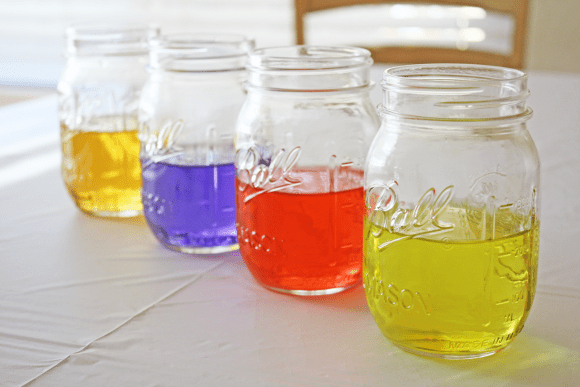 Add a drop of food coloring. 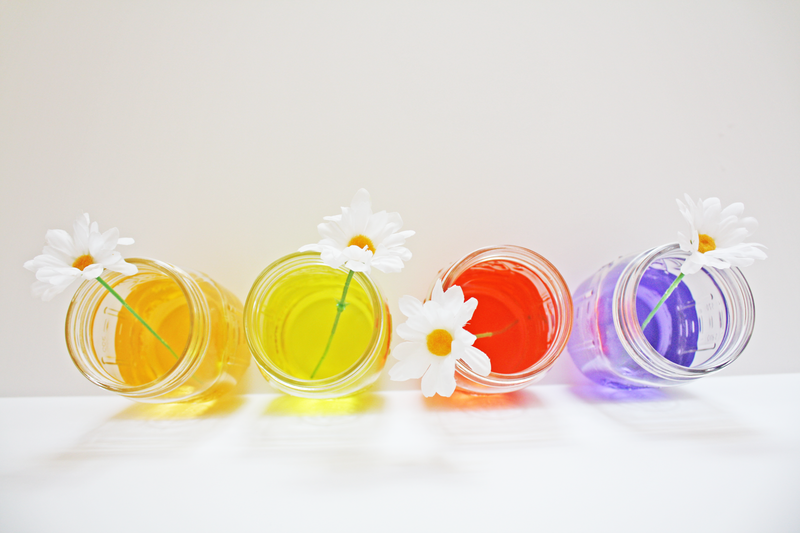 Note: The less coloring you add, the prettier the reflection of light in the jars. 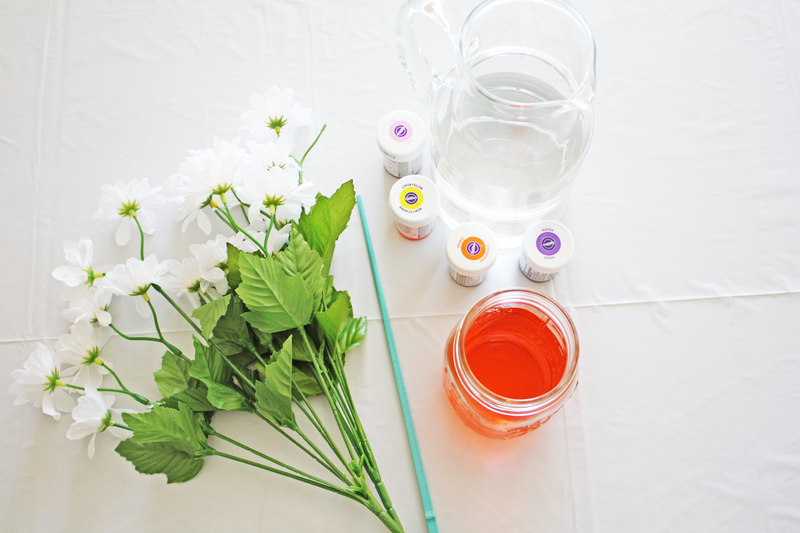 If you are using gel coloring, just dip the tip of a wooden skewer or toothpick into the gel, and then into water. Mix. Continue with each mason jar and each color. You can add as many jars and colors as you like. I recommend you experiment. Add a single stemmed daisy to each jar. The white flowers look best against the colorful water. That’s it! Simple, right? Doesn't it put you in a good mood? Check out all the Easter parties and free Easter printable collections on our site.